Fulbright New Zealand and Creative New Zealand invite applications for the 2015 Fulbright-Creative New Zealand Pacific Writer’s Residency, which offers a mid-career or senior New Zealand writer of Pacific heritage the opportunity to work for three months on a creative writing project exploring Pacific identity, culture or history at the University of Hawai‘i. The project may be in any genre, but priority is given to works that focus on developing New Zealand literature in the genres of fiction, poetry, drama, non-fiction (including biography, history, arts-related and cultural topics) and playwriting. The residency is valued at NZ$30,000 and includes return airfares to Hawai‘i, accommodation costs and a monthly stipend. Previous recipients have included poets Tusiata Avia and Daren Kamali, filmmakers Sima Urale and Toa Fraser, and playwright Victor Rodger. Hawai‘i has been identified as a strategic location for artists and is considered the hub of Pacific writing with numerous universities, library resources, networks, writers’ forums and publishers. It is also an important link to the mainland US and has a strong indigenous culture. 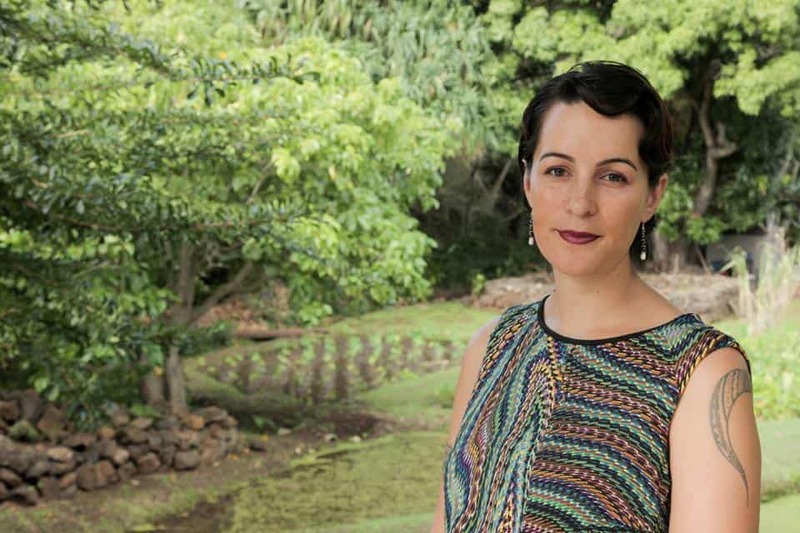 The most recent writer-in-residence, Auckland poet Leilani Tamu, says the residency was of immense personal and professional value to her as a writer. “Throughout the course of the residency, I was inspired and challenged by the diverse range of perspectives and conversations that I was privy to concerning the different ways in which contemporary Pacific Islands identity informs and shapes creative writing. The residency provided me with the time and space to research and reflect, and with the opportunity to expand my professional networks and exchange ideas with local contacts. It was a life-changing and rewarding opportunity.” The book of poetry Leilani worked on during her exchange to Hawai‘i, The Art of Excavation, was published by Anahera Press in August 2014. The 2015 Fulbright-Creative New Zealand Pacific Writer’s Residency is available in either the Fall (August to November) or Spring (February to May) semester of the 2015-2016 US academic year. The deadline for applications is 5:00pm, Monday 2 March 2015. Applications are made online via the Fulbright New Zealand website.